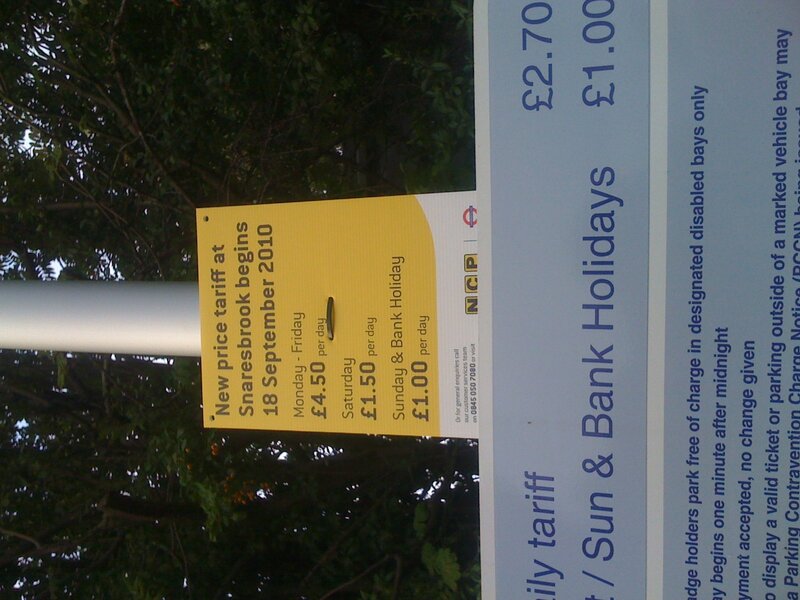 Daily parking rates at Snaresbrook Tube are going up from Â£2.70 to Â£4.50 from Saturday, a poster at the station is informing drivers. Other car parks run by NCP for London Underground will also see price rises, and the company says it is to fund continued investment in the facilities, but a statement given to the Wanstead Guardian said that the decision followed research into the prices of surrounding car parks too. Since there aren’t any other car parks near Snaresbrook station, it means the only competing option for many drivers will be on-street parking. Restrictions near the high street – including the cunning ban on parking between 9.30am and 10.30am – seem to make inevitable a degree of increased pressure on unrestricted streets further from the station.